In the airport, a man near me was talking to someone with him about typesetting. The person being spoken to was listening very carefully (I think). He made it sound like alchemy or parsi embroidery. The person listening would interject "No way!?" and "Really? Molten lead?". He continued with every ounce of knowledge he had and I eventually tuned out. I began staring across the airport lounge, thinking about casting type and getting the bromide back from the phototypesetting machine and carefully checking it to see if I had cast it properly. There was always something out of kilter. Then taking the bromide into the camera room and making multiple copies on film or positive paper so that I could cut it up and play about with it. Then I started thinking about the smell of the camera chemicals and the drying cabinet, and how I would often buy a cold drink and sit in the sun waiting for the paper and film to dry. While I waited, I would have to make complicated bargains with other people wanting to use the darkroom just for enough time to get my stuff dried properly. There was a lot of pressure in the old days of working with type. All this thinking made me thirsty and I went and bought a cold drink and when I returned to my seat in the lounge, someone had taken it and so I had to sit out of earshot of the guy waxing on about typesetting. When I looked over again, it seemed like the couple had disagreed about something because she was sitting with her shoulder slightly towards him and he had his arms folded. 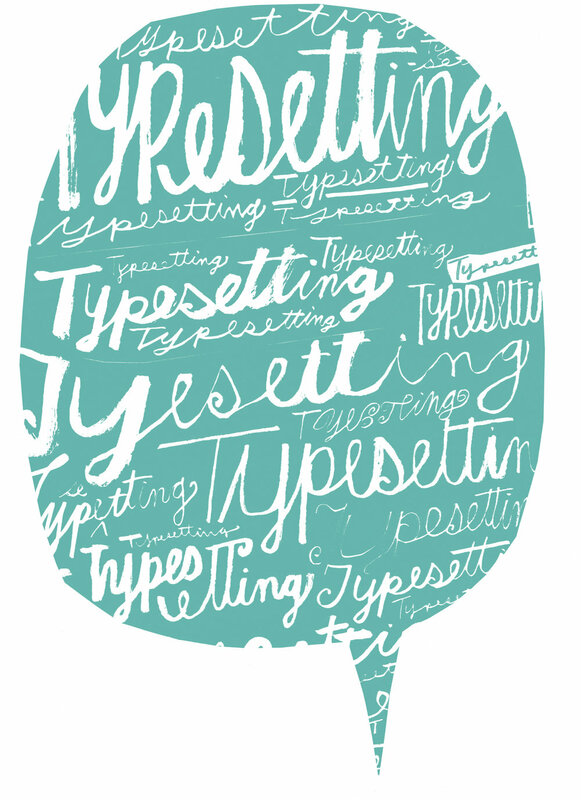 It's a tricky subject to captivate people with, typesetting. Believe me.